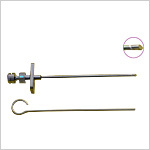 GPC Medical manufactures surgical needles from high quality non-corroding steel that is optimally tailored with the right characteristics to meet the stringent demands in this area. Different types of needles are needed for different surgical purposes. We ensure that our needles have the acute sharpness to penetrate, with the right bending and tensile strength that securely fits in the needle holder. 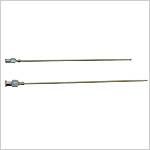 You can view our different surgical needles and place your orders. 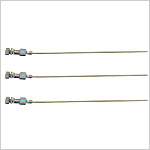 Send Your Buy Requirement For "Surgical Needles" AND Get Quote Quickly.